A triple bill of archive BBC radio dramas, believed lost for over half a century and only recently rediscovered. "Butter in a Lordly Dish", written specially for radio in 1948, features Richard Williams as Sir Luke Enderby KC, whose infidelities lead him into trouble when he goes to meet his latest flame. Williams also stars as Hercule Poirot in "Murder in the Mews", a 1955 adaptation of a short story. A young woman is found dead in her flat the day after Guy Fawkes night. Did she die by her own hand or someone else's? 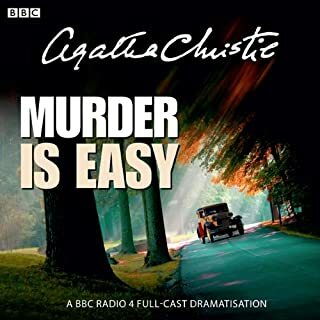 In "Personal Call", also written specially for radio by Agatha Christie, a disturbing telephone call from a woman named Fay has consequences for both Richard Brent and his wife, Pam. This 1960 production stars Ivan Brandt and Barbara Lott. Would you try another book from Agatha Christie and/or the narrators? Yes. This is not her best work, and there is a reason why it is "lost." Absolutely. Her work is generally terrific, with the exception of these stories. Her other works have plenty of redeeming qualities--this was more mediocre and I recommend her other works. As I have noted, Agatha Christie stories are generally fantastic, but I believe there is a reason why these were "lost" or not well known. It is because they are not as good as her other works. What did you like best about Agatha Christie: The Lost Plays? What did you like least? I like the play about the train the most, and her interviews. I least liked the time in between, but not by much. They bring that "radio play" feeling which to me is always engrossing regardless of the topic. 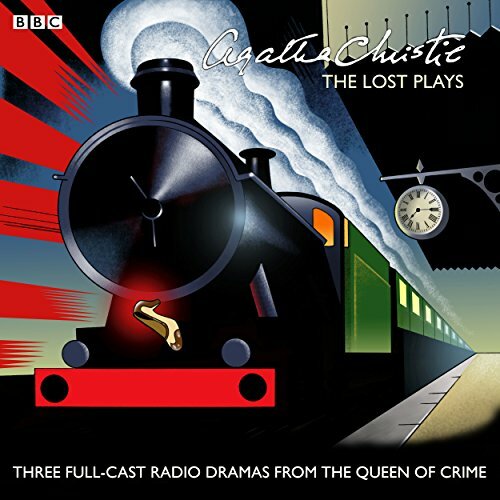 Was Agatha Christie: The Lost Plays worth the listening time? An interesting addition to anyone's Agatha charities library. I liked the radio interviews with the lady herself. 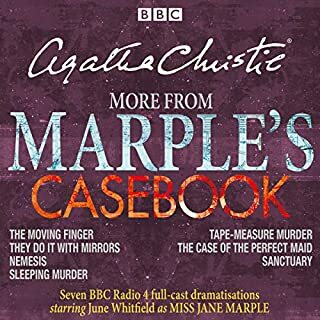 I'm an avid fan of Christie, especially the BBC radio adaptations. Sadly this is an uneven collection. Two lost plays that sound like they were written on a rainy afternoon and discarded. They rank right up there with high schoolers campfire ghost stories. These plays were lost for a reason! There's also a 1955 adaptation of "Murder in the Mews." It's a good story but the production is nothing special and true fans are probably already familiar with it. 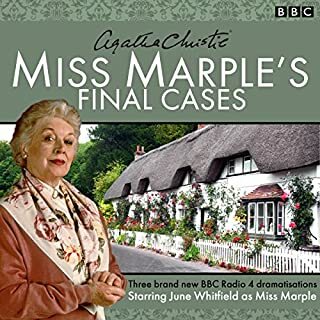 The package is rounded out with some recordings of Agatha Christie from the 1950s which are quite interesting along with an interview with a cast member from "Murder in the Mews" that is quite good although rather unrelated to Christie. 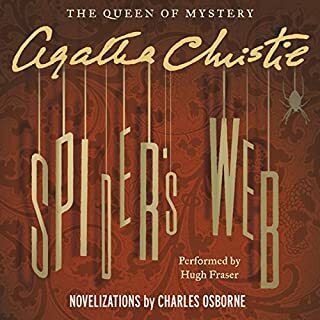 This is really rather fun, it has a few very short plays performed that were written by Agatha Christie that I'd never heard of or read before as well as live recordings of her in various places. There's also a full Radio Broadcast and afterwards an interview with the sole surviving cast member. He discusses not only Agatha Christie, but his experiences in set design as well as the movies he worked on. Really fun Historical and trivia piece to listen to. My husband and I listen to Agatha Christie as we travel. These short stories provided great entertainment for short trips. We love her work and the productions were enjoyable. Says 5 plays but in fact only 3. #3 & 5 are interviews. The 3 plays are good but it a shame there aren't 5. Not my idea of the voices of Poirot and the CI or their relationship but that's bound to happen. Rest of characters very well done. But although I liked hearing Agatha Christies voice, for the most part the various interviews took up more time than was warranted and added little to the experience. I would rather have had another story added. Has Agatha Christie: The Lost Plays put you off other books in this genre? If you could sum up Agatha Christie: The Lost Plays in three words, what would they be? What was one of the most memorable moments of Agatha Christie: The Lost Plays? I so enjoyed this little piece of British radio history, thanks to those who found the plays and for putting together a wonderful set of interviews. Such wonderful stories and personalities. I especially liked the last interview with “ Freddy”. Incredibly humble and talented man. Thanks so much! I love audio books. This gave. me a lot of pleasure particularly as it was a product. 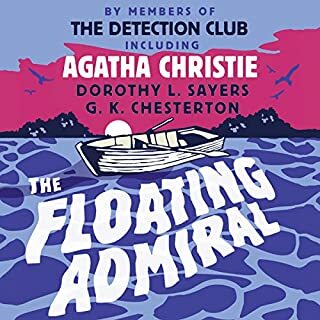 I would recommend this to anyone who is a fan of Agatha Christie. Really enjoyable old time radio productions ofChristie plays I did not know existed. Poorly was particularly interesting. 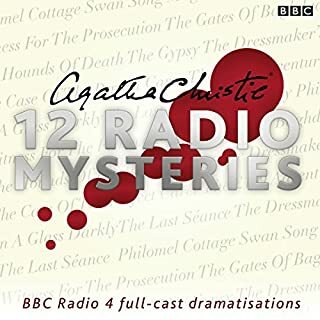 Great hearing these classic plays and the interviews with Agatha Christie a peek into a lost age. These three plays combine everything that we love about Agatha Christie - puzzling mystery, convincing characters and a twist in the tail. These lost recordings are a real treat, with the clipped accents of the actors taking us back to a past era of radio. The real treat in this recording, however, is the surprise interview with Christie herself. Hearing her talk about her work was wonderful and gave a real insight into her methods and her writing.